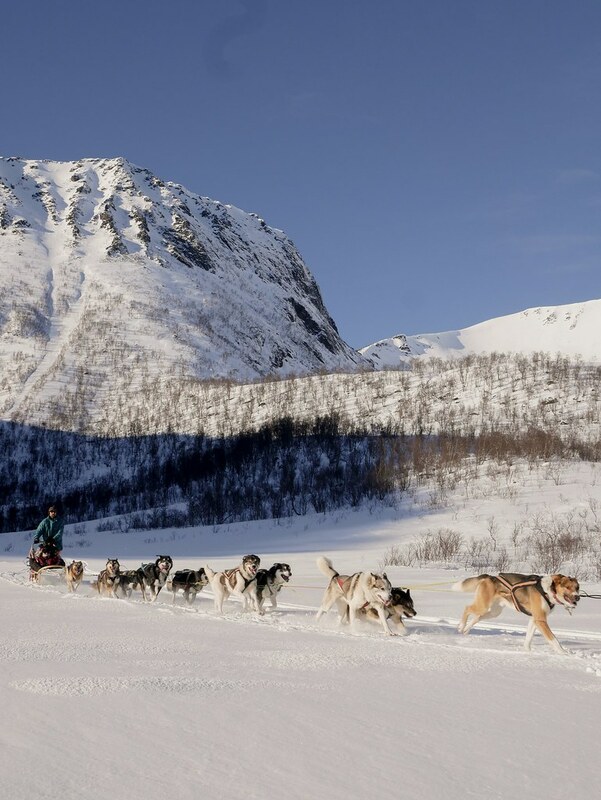 Husky Sledding has always been on my list of things to do while travelling the world and at long last we managed to do it in the Norwegian Arctic. 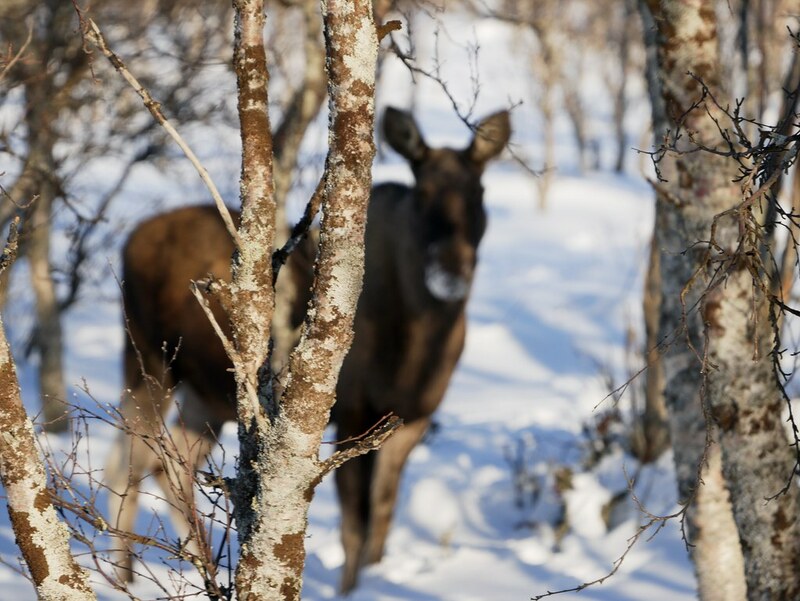 It was a two and a half hour drive to the husky farm on Andøya Island in Vesterålen and on the way we passed a dozen moose eating bark on trees and lounging in the snow. The weather couldn’t have been better with thick snow on the ground and the sun high in the sky. 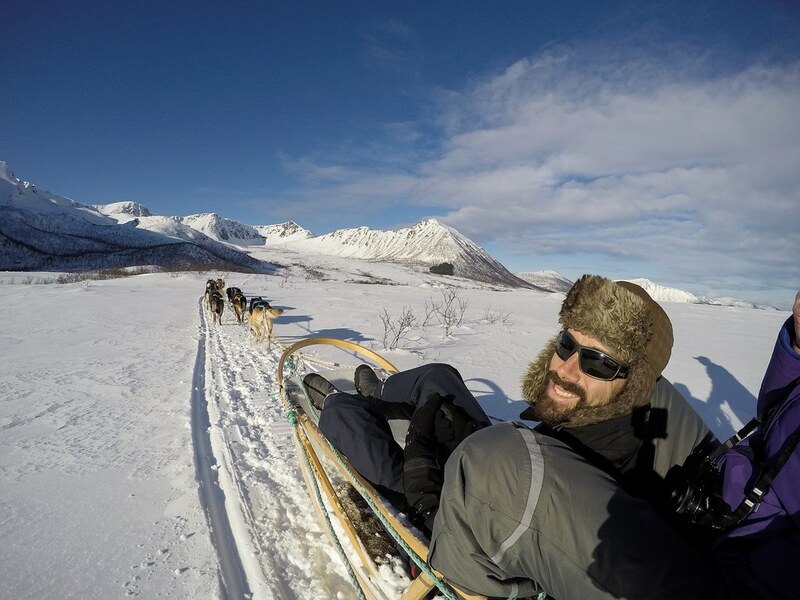 It was hard to get a day this good because if there’s not enough snow then they have to take a wheeled cart along a road instead of a sled on the snow and its just not the husky sledding I envisioned. 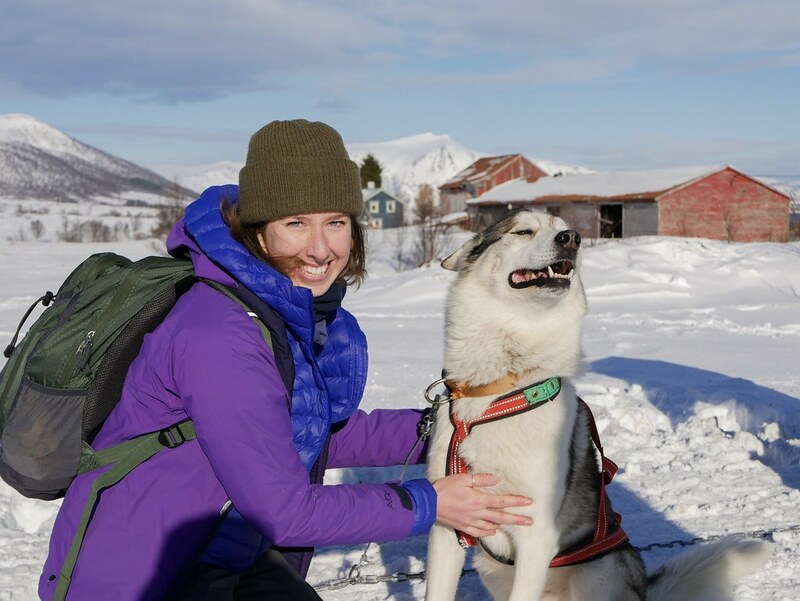 It was a small farm with just 21 dogs, which might sound like a lot to some people but when you consider some farms in Norway have up to 300 then you can see that this one was more of a hobby than a full-on business. 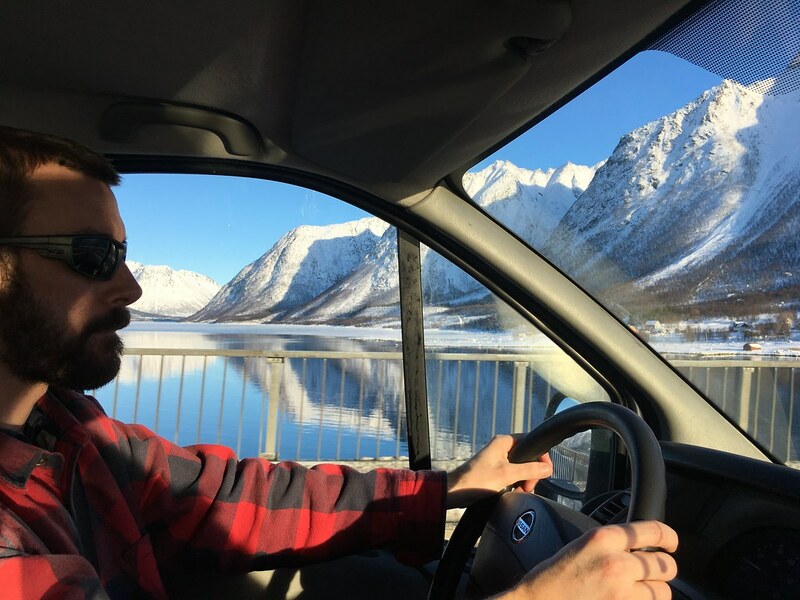 The location was incredible, it was in the middle of nowhere on a very quiet road by the fjord with mountains all around us. 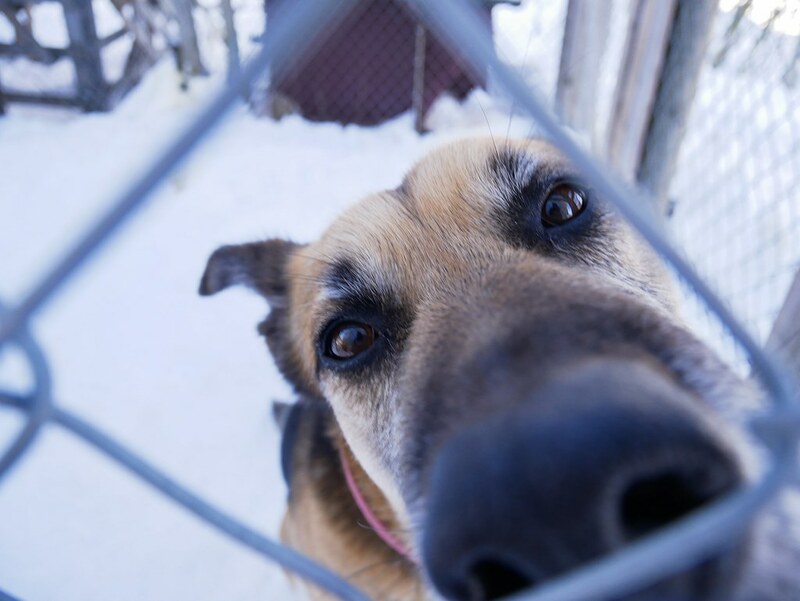 The dogs lived in large outside enclosures complete with trees to pee on and a kennel to snuggle in at night. 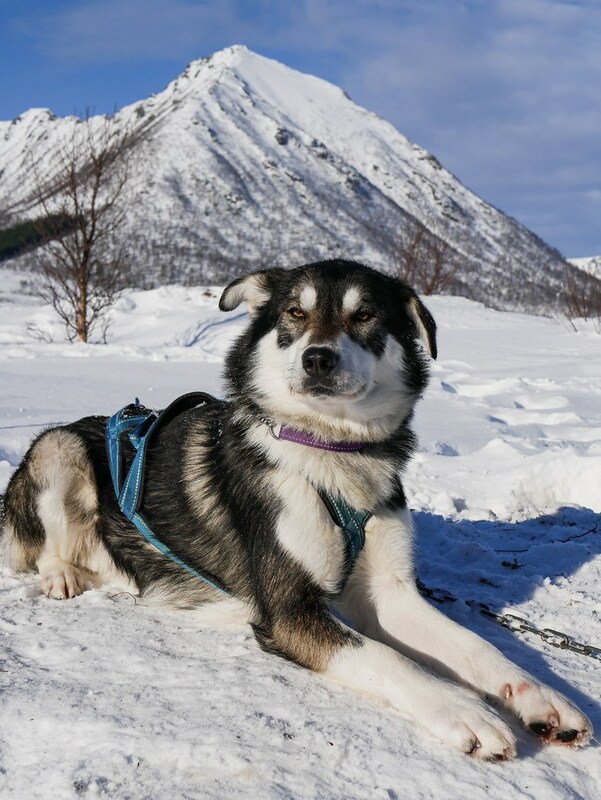 The first dog we passed was enjoying the morning sunshine, he was sat on the snow and almost smiling into the warm sun. The second enclosure had the sweetest dog who just wanted strokes. He rubbed his furry body against the cage in desperate need of attention and then he collapsed down, legs up in the air ready for belly rubs. But we couldn’t stroke him as we were on the other side of the fence so we walked along while feeling rather guilty and the sweet dog got up, walked alongside us and then collapsed again hoping it was in a better location for us. The sledding start point was at the back of the property so we headed there to see the dogs who had just finished a morning trip. We were free to cuddle all of them without a fence between us and they were such friendly dogs. If I stopped stroking and looked around at the scenery I’d feel a gentle nudge as a paw tapped my arm demanding more strokes. The owner was German and didn’t speak English so we actually had no idea what the plan was and in the end the guests we’d driven there had to translate for us. 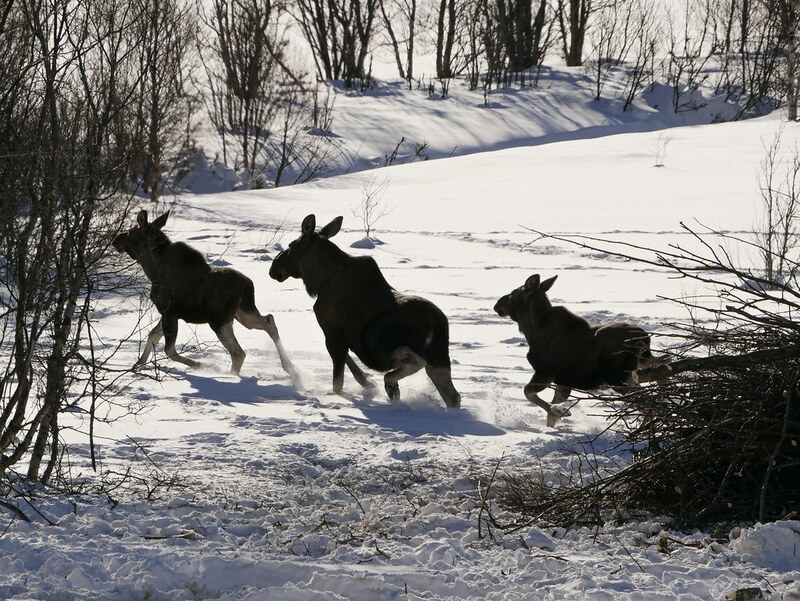 The guests were to go dog sledding first, and we would follow behind on a skidoo, then at a half way point we would swap positions. The dogs from the previous trip were un-clipped and the workers carefully grabbed the harness and collar with one hand and walked them back to the kennels with their front legs basically in the air. 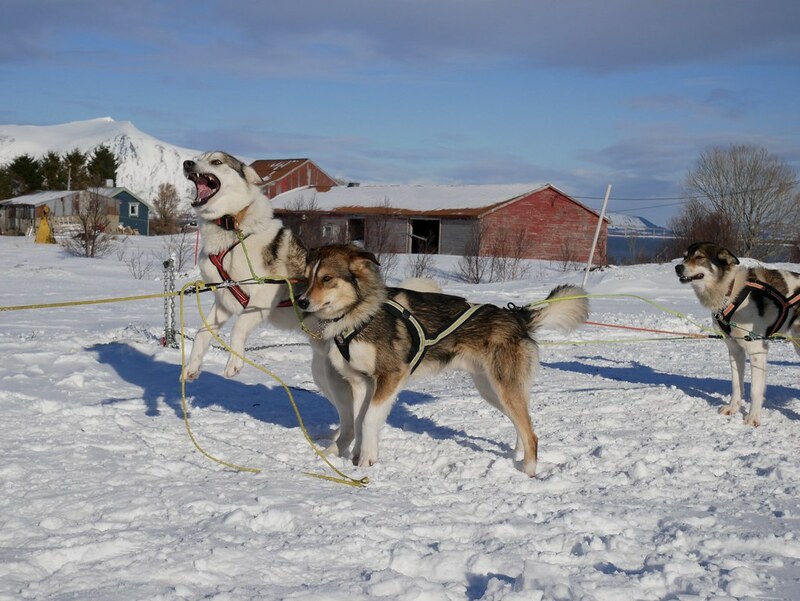 New dogs were brought along and connected to the sled ropes, apparently they are paired up with their buddies as it’s not a good idea to put rival dogs beside one another. There was a single dog at the front who was the leader and another lone ranger at the back. They were getting super pumped to go out running and once one began barking and howling they all joined in, well most of them, a few just stood quietly and looked embarrassed for their noisy friends. Some were jumping really high up in excitement, they were probably even more hyped after seeing half of their group go running without them on the first trip of the day. 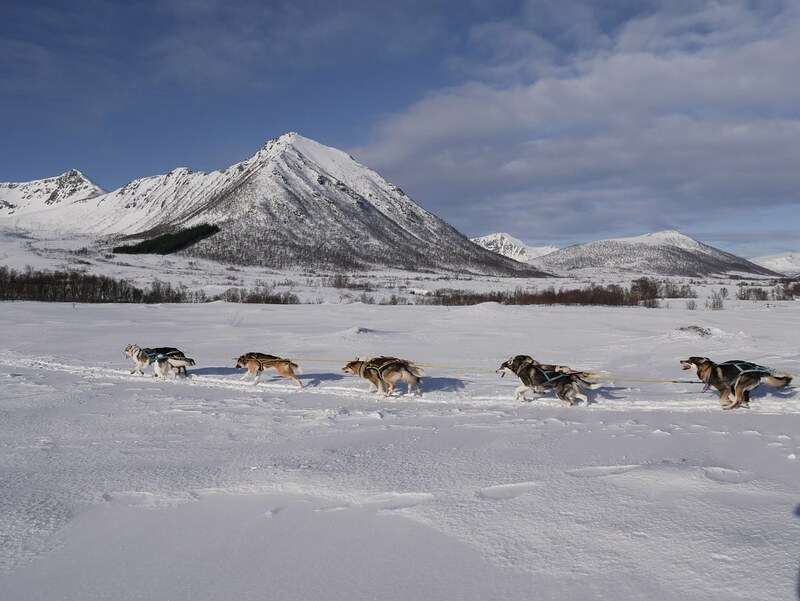 With the sound of a call, the musher got the whole pack to pull and off they went, running into the wilderness. 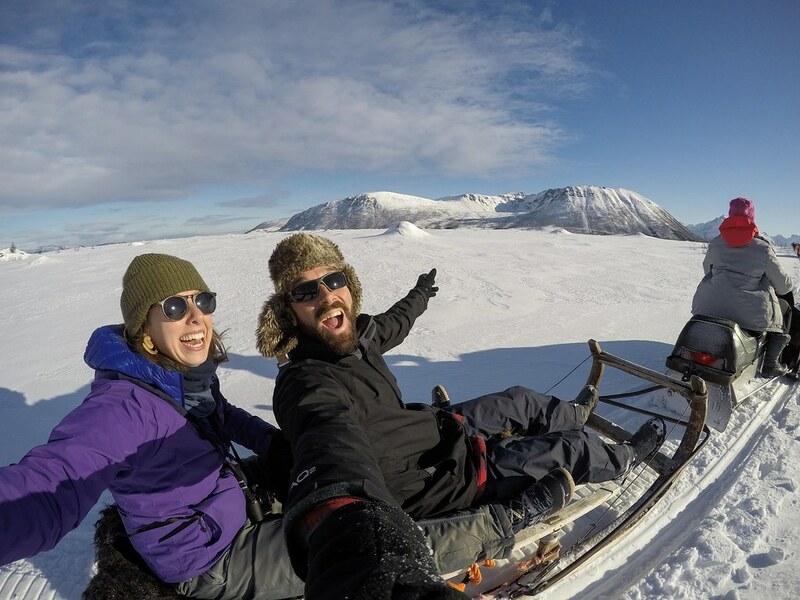 We climbed onto a wooden sled pulled by the skidoo and followed along. 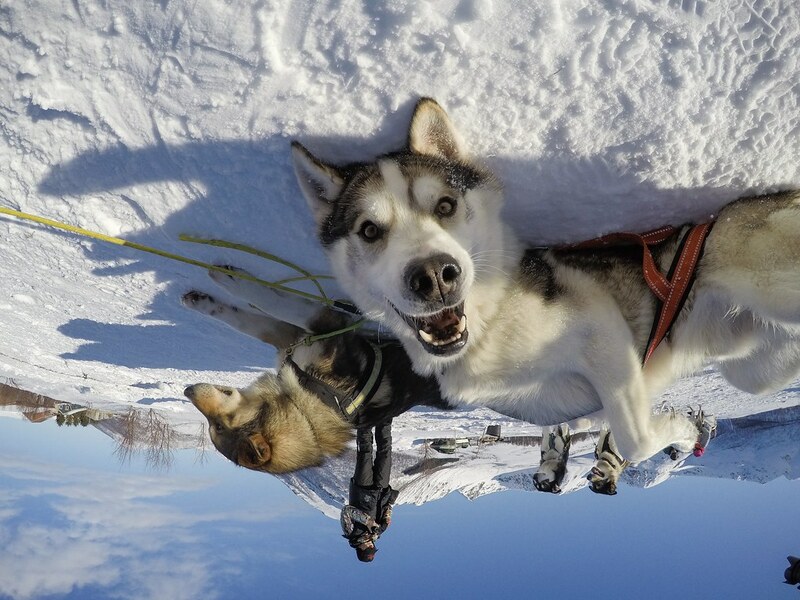 The landscape was quite different to the typical photos I’ve seen of people husky sledding. 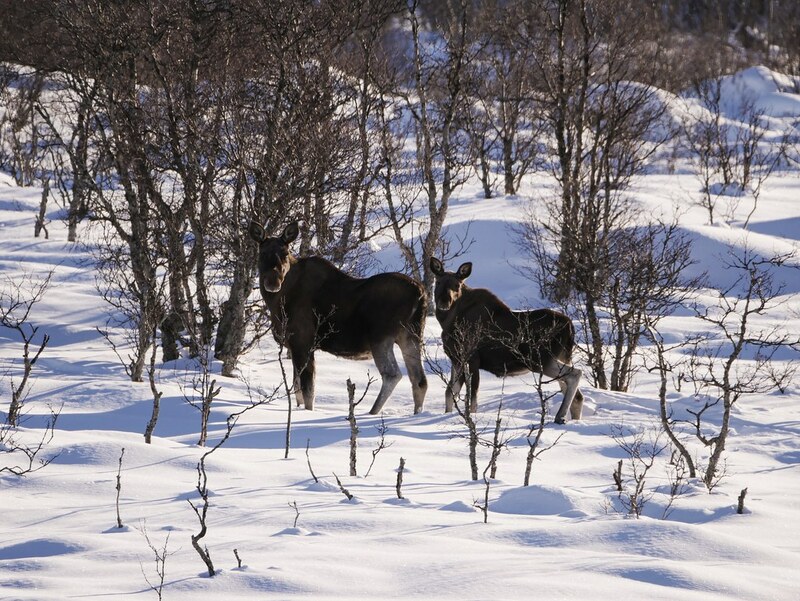 There’s usually a trail between snow covered pine trees in Lapland, but for us it was very different with a vast open area and then dramatic mountains rising around us. 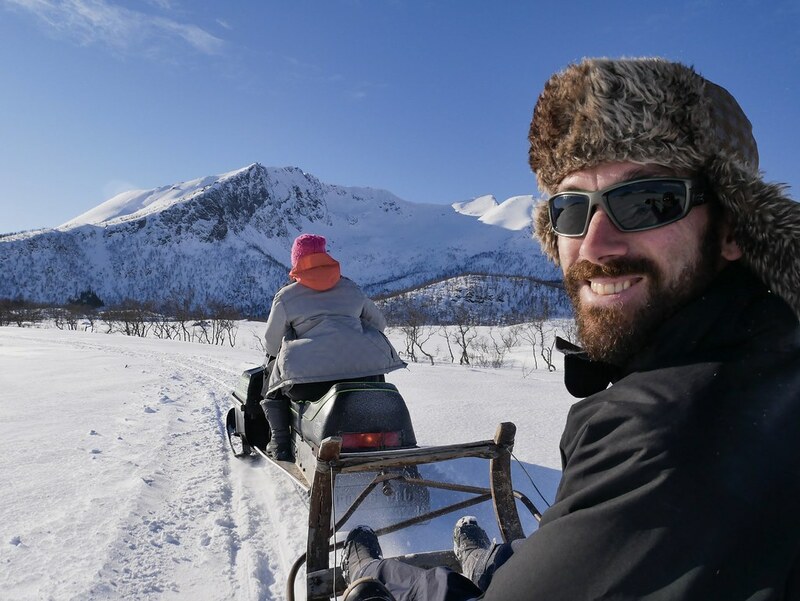 The skidoo had to go down a small gully but it was too steep to get back up with us on so we were asked to disembark and walk along while the lady used full power to charge up and even fly through the air for a split second. We pulled up at the halfway point where we waited for the dogs to do a final loop and meet us. We helped the old guests out of the sled and before we could swap stories I was shoved down into the seat and Craig just below me. 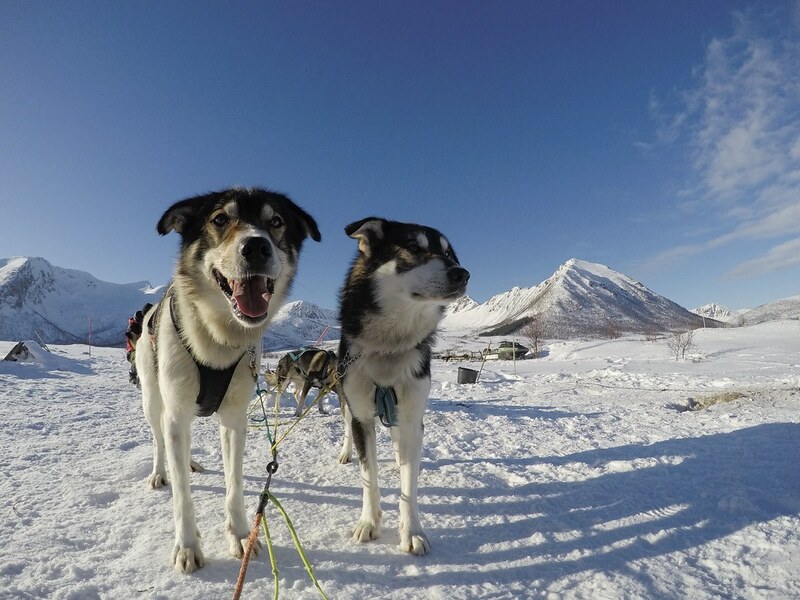 Suddenly the musher called and we were off. 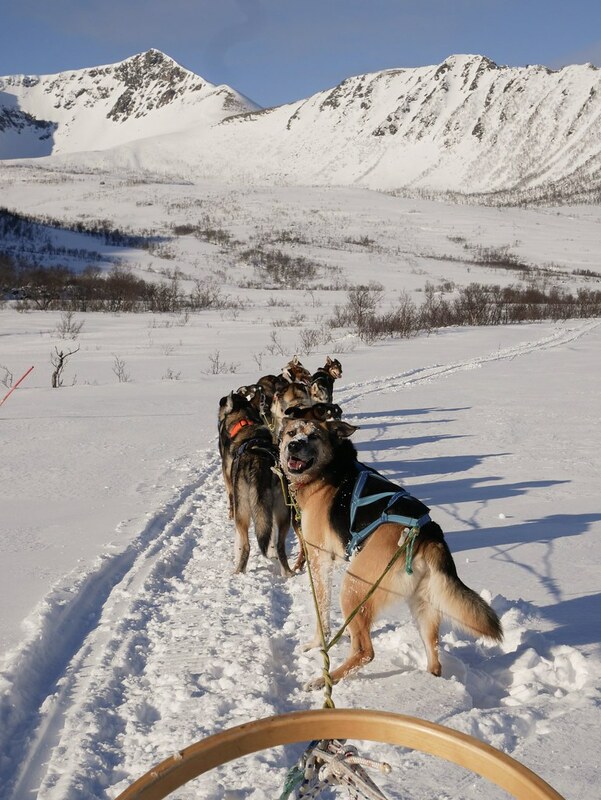 It all happened very quickly, I think it was because the dogs were just standing still without the brake on and the musher didn’t want to risk them jolting forward. The sledding wasn’t as fast as I expected, for some reason I thought it would be quite an adrenaline ride but it was fairly calm in comparison. That’s not to say it wasn’t good, we still had a lovely experience and the landscape we witnessed was so wild and untouched. The single dog at the back seemed to be the joker of the pack. 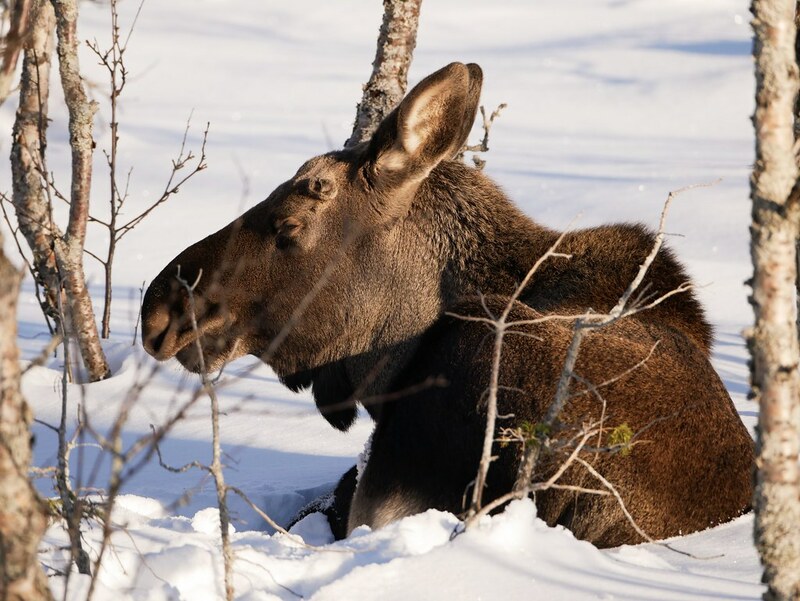 She kept veering off the firm, snowy route and sinking into the fluffy stuff. Her main goal was to eat snow and she couldn’t get enough of the stuff but she kept moving our sleigh sideways. 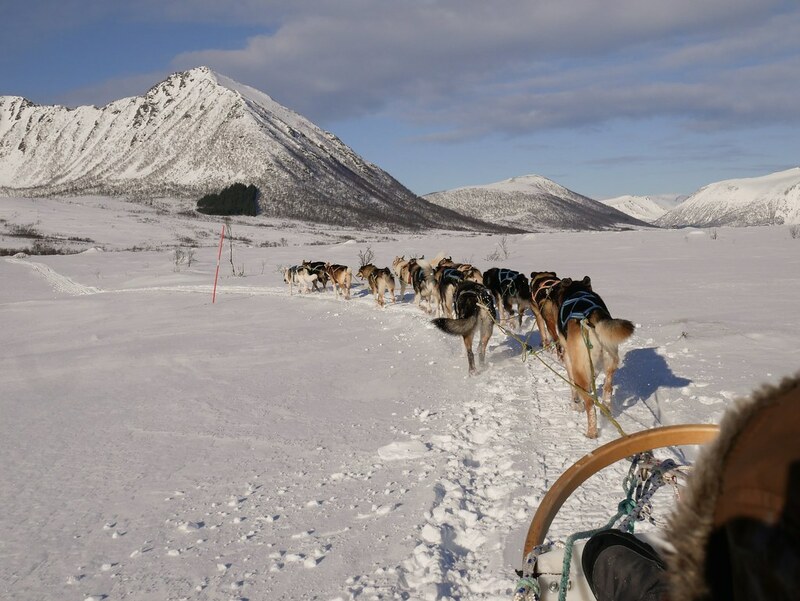 One time I thought we were going to tip over but the musher pulled me quickly to the left and our weight got us back into position. 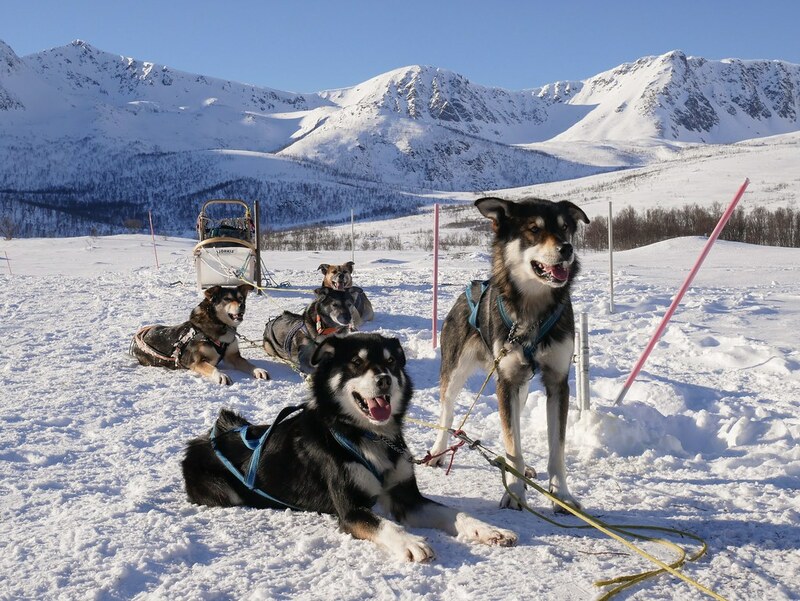 The dogs were given regular, short breaks on the journey and it was funny to see how some quickly laid down in the snow while others stood around, wandering what they were waiting for and eager to set off again. 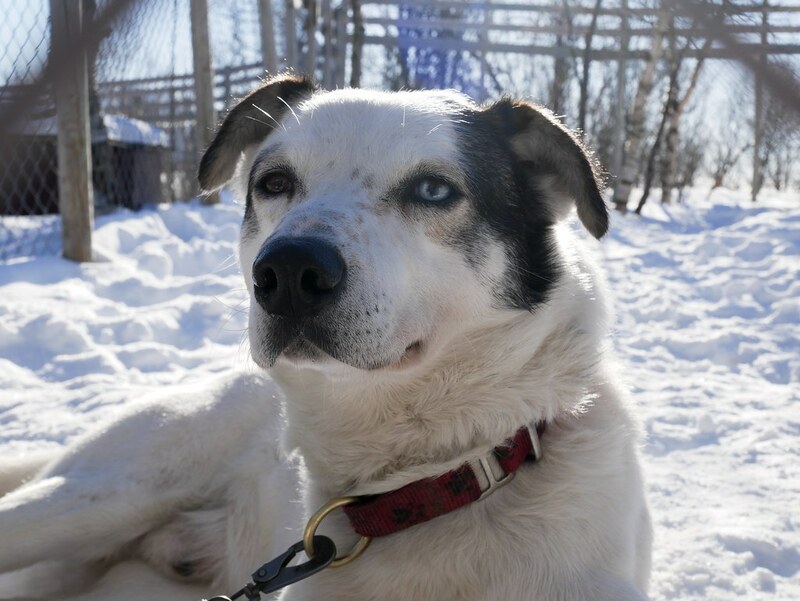 When we arrived back at the farm every single dog was given a stroke and cuddle by the musher which was so nice to see as he clearly adored them. The staff gave each dog a chunk of raw meat and a bowl of water which they lapped up and then it was time for us to head back home.